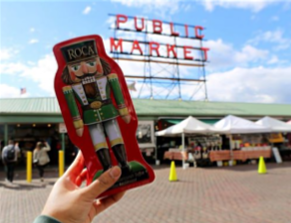 Almond Roca Nutcracker Giveaway Sweepstakes – Win tickets to the Nutcracker in Seattle or Portland! Win tickets to the Nutcracker Ballet in Seattle or Portland, OR or a gift basket (travel expenses are the winner’s responsibility)! ENTER SWEEPSTAKES HERE – Almond Roca Sweepstakes page. ENTRY LIMIT – You may enter only once and you must fill in the information requested. You may not enter more times than indicated by using multiple e-mail addresses, identities or devices in an attempt to circumvent the rules. ELIGIBILITY – Sweepstakes is open only to those who sign up at the online sweepstakes page and who are at least 18+ years old at the time of entry. The sweepstakes is open to the legal residents of the United States and is void where prohibited by law. SWEEPSTAKES ENTRY PERIOD – Entries will be accepted online starting on or about Oct 24, 2018 at 12:00 AM and ending Dec 07, 2018 at 11:59 PM. PRIZES – The approximate retail value of all prizes is $910. The prizes are: 1 – National Gift Basket Prize, 1 – (4) PNB Tickets + Gift Basket, 1 – (4) OBT Tickets + Gift Basket, 12 Nutcracker Tins. WINNER’S LIST – For the names of the winners, please contact us at and in the body of the email type ‘Please e-mail me the winners’ list for the Brown & Haley Sweepstakes. Evening Magazine Moab Word of The Day Sweepstakes – Win a trip to Utah! 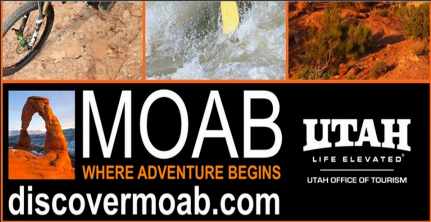 Win a trip to Moab, Utah! You will need to enter a code word each day to enter (you can find the code word by watching Evening Magazine – or wait until I share the code word here). ENTRY LIMIT – Maximum one (1) entry per person, per day. ELIGIBILITY – Evening’s – Moab Word of The Day Sweepstakes is open to legal residents of Washington, who are eighteen (18) years or older at the time of entry. SWEEPSTAKES PERIOD – The Sweepstakes begins at 7 PM PT on March 2, 2015, and ends at 7:30 PM PT on March 9, 2015. PRIZES – One (1) winner will receive a prize package for two that includes a two night hotel stay (double occupancy room) in Moab, UT with roundtrip coach airfare from Seattle International Airport to Salt Lake City International Airport, economy size car rental for three (3) days, tickets to a half-day activity for two (2) and $40.00 dinner certificate for one night. Total Grand Prize Value: $1,100.00. 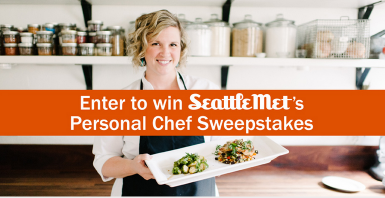 Seattle Met’s Personal Chef Sweepstakes – Win a Holiday Dinner by a Kitchensurfing Chef! Win a 6-person Plated Holiday Dinner by a Kitchensurfing Chef (Seattle area residents only)! ENTER SWEEPSTAKES HERE – Seattle Met Sweepstakes page. ENTRY LIMIT – One entry per household. ELIGIBILITY – Contestants must be legal residents of the U.S. and 18 years or older at time of participation. Contestants must live within a 30 mile radius around Seattle. SWEEPSTAKES PERIOD – Prize drawing will take place on December 22, 2014. PRIZES – One winner will receive one 6-person Plated Holiday Dinner by a Kitchensurfing Chef ($600 value) to a winner in the Seattle Metro Area. Chef and date subject to availability. Dinner must take place within 30 miles of Seattle Metro Area. Not redeemable for cash. American Family Insurance The Dream Show Seattle Sweepstakes – Win Seahawks tickets! Win four (4) premium reserved tickets with pre-game sideline passes to the Seattle Seahawks’ game on Dec. 28 & more! Sweepstakes is open to Washington, Oregon and Idaho residents only. ENTER SWEEPSTAKES HERE – American Family Sweepstakes page. ENTRY LIMIT – Each participant is eligible to submit up to one (1) Promotion entry per day per person during the Promotion Period, regardless of method or combination of methods of entry or number of entries submitted. 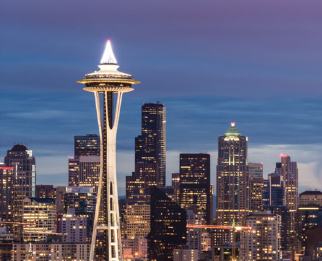 ELIGIBILITY – The Dream Show Seattle sweepstakes is open only to natural persons who are legal residents of the states of Idaho, Oregon or Washington and who are at least eighteen (18) years old at the time of entry. SWEEPSTAKES PERIOD – The Promotion period begins at 1:00 PM Pacific Time (“PT”) on August 21, 2014 and ends at 11:59 PM PT on December 17, 2014. PRIZES – One (1) Grand Prize consisting of four (4) passes to the Seattle Seahawk’s CenturyLink Field stadium tour in Seattle, WA on December 27, 2014; four (4) premium reserved tickets with pre-game sideline passes to the Seattle Seahawks’ game at CenturyLink Field stadium in Seattle, WA on December 28, 2014; four (4) premium reserved tickets in Touchdown City for Phillip Phillips post game concert on December 28, 2014; four (4) replica Seattle Seahawks jerseys; four (4) Seattle Seahawks hats; and one (1) $250 concession voucher (“Voucher”). If the winner resides more than seventy (70) miles from CenturyLink Field stadium Sponsor will provide one (1) $1500 pre-paid cash card toward ground transportation and hotel accommodations. Live Nation is not responsible for authenticity of prize and Certificate of Authenticity not provided. Selection of seat location and tour time are solely within Sponsor’s discretion. Winner and guest(s) must abide by all venue policies. Parking, travel and accommodations not included and are the sole responsibility of winner. Live Nation reserves the right to not award any prize to, or to revoke full or partial prize from, any winner or winner’s guest who Live Nation and/or venue personnel deem may, in their sole discretion, be intoxicated, be a safety risk, have violated any venue policy or law, and/or may bring Live Nation into disrepute. Resale of tickets is prohibited. Approximate Retail Value of the Grand Prize is: One Thousand Five Hundred Dollars ($1,500) or Three Thousand Dollars ($3,000), depending on the winner’s location. KOMO Newsradio’s Husky Football Ticket Giveaway Sweepstakes – Win 2 tickets to the Nov. 8 Husky game! Win two (2) tickets to the University of Washington Husky Football game vs. UCLA on Saturday, November 8, 2014 (3 winners)! ENTER SWEEPSTAKES HERE – KOMO News Radio Sweepstakes page. ENTRY LIMIT – Only one (1) entry per contestant. ELIGIBILITY – To be eligible to participate in this contest, entrants must be U.S. residents who are 18 years of age or older and reside in Western Washington (Snohomish, Thurston, Kitsap, Island,Pierce, Mason, Jefferson, Skagit, Kittitas, Grays Harbor, Lewis, Cowlitz, Whatcom, San Juan, Clallam and King Counties). SWEEPSTAKES PERIOD – The contest starts on Monday, October 27, 2014 at 12:00 a.m. PDT and all entries must be received by Station by 11:59 p.m. PST on Sunday, November 2, 2014. 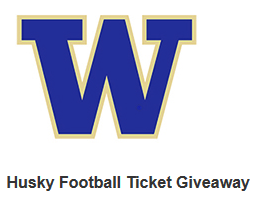 PRIZES – Three (3) winners will each receive two (2) tickets to the University of Washington Husky Football game vs. UCLA on Saturday, November 8, 2014 at Husky Stadium. The prize is valued at $174. 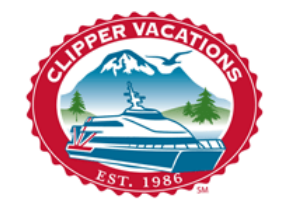 KOMO News Radio Clipper Vacations Fall Getaway Contest – Win a Clipper Vacation to Victoria! Win a Clipper Vacations one-night getaway to Victoria, B.C. (open only to residents of Western Washington)! You must be a KOMO Club member to enter (it’s FREE to sign up for an account). ELIGIBILITY – To be eligible to participate in this contest, entrants must be U.S. residents who are 18 years of age or older and resideinWestern Washington (Snohomish, Thurston, Kitsap, Island,Pierce, Mason, Jefferson, Skagit, Kittitas, Grays Harbor, Lewis, Cowlitz, Whatcom, San Juan, Clallam and King Counties). SWEEPSTAKES PERIOD – The contest starts on Monday, October 27, 2014 at 12:00 a.m. PDT and all entries must be received by Station by 11:59 p.m. PST on Sunday, November 9, 2014. PRIZES – One (1) winner will receive a certificate for a Clipper Vacations one-night getaway for two (2) to Victoria, B.C. The trip package includes round-trip ferry transportation for two (2) between Seattle and Victoria B.C. on the Victoria Clipper, one (1) night’s hotel accommodations (one deluxe suite, double occupancy) at the Best Western Carlton Plaza Hotel, and a Butchart Gardens Holiday Lights Tour for two (2). The trip package does not include any meals, other transportation, gratuities, trip cancellation insurance, baggage fees, miscellaneous fees or other expenses. The trip is valid through December 31, 2015. Hotel and Clipper reservations are subject to availability and blackout dates may apply. Butchart Gardens Holiday Lights Tour tickets are valid through January 4, 2015. Winner is solely responsible for ensuring their compliance with all applicable rules and regulations regarding entry into Canada and re-entry in to the United States. The total prize package is valued at $519. Cinemark’s Laggies Seattle Sweepstakes – Win a trip to Seattle! Win a trip for 2 to Seattle! ENTRY LIMIT – Limit: Each person/household/email address may enter one (1) time during the Promotion Period. ELIGIBILITY – Cinemark’s Laggies Seattle Sweepstakes is open only to legal residents of the fifty (50) United States (including the District of Columbia) who are at least twenty one (21) years old at the time of entry. SWEEPSTAKES PERIOD – The Sweepstakes begins on October 17, 2014 at 12:00 a.m. Eastern Time (“ET”) and ends on November 13, 2014 at 11:59 p.m. ET. PRIZES – ONE (1) GRAND PRIZE: Winners choice of a trip for two (2) to Seattle, WA or a $1,500 check. Trip package includes: Round trip, coach-class air transportation for two (2) from a major airport near winner’s home (determined by Sponsor in its sole discretion) to Seattle, WA; four (4) nights’ accommodations at a hotel determined by Sponsor in its sole discretion (single room, double occupancy); ground transportation to and from airport and hotel; admission to the Seattle Space Needle observation deck with use of telescopes for winner and guest; a private Mt. Rainer Tour for winner and guest (includes professional guide, all entrance fees and hotel pick-up/drop-off); and $500 spending money. Almond ROCA Nutcracker V.I.P. Experience Sweepstakes – Win 4 tickets to the Nutcracker & more! Almond ROCA has just opened up one of my favorite Christmas Sweepstakes! Washington & Oregon residents may enter to win tickets to a Nutcracker performance (Pacific Northwest Ballet or Oregon Ballet Theatre). If you don’t live in Washington or Oregon, you may enter to win a Nutcracker gift basket. Daily winners will receive a ROCA Nutcracker tin! ENTRY LIMIT – Only one online entry per person. One entry per person/family/household. ELIGIBILITY – The Sweepstakes is open to legal residents of the United States (50 states and District of Columbia, but specifically excluding the territory of Puerto Rico) who are eighteen (18) years old and over as of the date of entry. SWEEPSTAKES PERIOD – Monday, October 13th, 2014 at 12:01AM PST- Friday, December 19th, 2014 at 11:59PM PST. One Nutcracker Tin will be awarded each day for 50 days, including Thanksgiving Day, Thursday, November 27th, 2014. Starting on Oct. 13th, 2014 ending on Dec. 19th, 2014 a tin will be award each weekday to Facebook entrants only. No drawings will be held on Saturdays or Sundays. Winners will be contacted within 2 business days of drawing. Business days consist of Monday through Friday. Fifty (50) tins will be awarded in total. Evening Magazine’s Best of Western Washington Sweepstakes – Win a trip to Puerto Vallarta! Win a trip a trip for 4 to Puerto Vallarta! Get entries by voting for your favorite Western Washington businesses! ENTRY LIMIT – Maximum one (1) registration per person. Bonus Entries: During the Sweepstakes Period, entrants can vote for one of the people, places, and things to do on the Best of Western Washington webpage. Entrants will receive an extra for each vote an entrant submits for one of the categories on the Best of Western Washington webpage. Voting is not a required for entry into the Sweepstakes. Entrants can receive one additional entry for each friend the entrant refers, who enters the Sweepstakes using the link provided by the entrant. ELIGIBILITY – Evening Magazine’s Best of Western Washington Sweepstakes is open to legal residents of the State of Washington who are 18 years or older at the time of entry. SWEEPSTAKES PERIOD – The Sweepstakes will begin at 9am PT on September 15, 2014 and end at 11pm PT on October 24, 2014. The trip package has a total approximate retail value of $5,120 which may vary depending on time of year prizes are redeemed. Princess Cruises Seattle Game Day Sweepstakes – Win a cruise to Alaska! Win a 7-Day cruise to Alaska! ENTER SWEEPSTAKES HERE – Princess Cruises Sweepstakes page. ENTRY LIMIT – Limit: One (1) entry per person/email address during the Sweepstakes Period. ELIGIBILITY – The Sweepstakes is open to all legal residents of the 50 United States and the District of Columbia who are at least 21 years of age or older as of time of entry. SWEEPSTAKES PERIOD – The Sweepstakes begins on September 4, 2014 at 12:00:01 am Pacific Standard Time (“PST”) and ends on December 31, 2014 at 12:00:01 pm PST. PRIZES – Grand Prize (1): One (1) verified Grand Prize Winner will receive one (1) 7-day Inside Passage Alaska Cruise on Crown Princess® (embarking and disembarking from Seattle, WA) for the Winner and one (1) guest sharing accommodations of one (1) double occupancy balcony stateroom. TOTAL ARV OF GRAND PRIZE: $3,052 USD. Any difference between stated approximate retail value and actual value of prize will not be awarded.